One of the most important services that you can take care of for your home is finding the right Landscaping Fayetteville company. 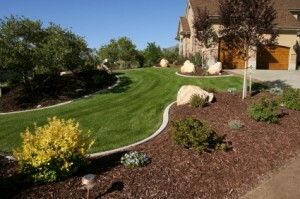 The good news is that you have already found the answer – Ground Pounders Landscaping. Since 2007, we have been the name that locals rely on for the best in high quality services meant to improve your great outdoors. We are like the home improvement team for the exterior of your house. As the premier choice for outdoor environment enhancement, we are proud to be able to serve both residential and commercial clients. Do you have something in mind that you want completed for your home? Then let us work with you to bring that vision to life! But even if you have no idea what you want the outside of your home to look like, we can take care of that for you. Give us a call today and let’s get started. We may be a locally owned small business, but that just means that you get the best of both worlds. You get the superior workmanship and results that you would from a larger, corporate owned outfit with the care and attention to individual care that you deserve from smaller companies. Let us show you the variety of Landscaping Fayetteville essential services we can provide for you that will completely transform the outside of your home or business. Our main area of specialty just happens to be landscaping design and maintenance. We can help come up with the perfect concept that will bring your outdoor area to life and also be there to help with the ongoing need for upkeep. Don’t make the mistake of thinking that you can take care of either of these tasks on your own; this is something that has to be addressed by a professional. So give us a call today and let’s take care of your service needs. While landscaping may be our forte, you can also count on us for the same high level of expert service for other services that include jobs like concrete services, fencing and hardscapes – just to name a few. 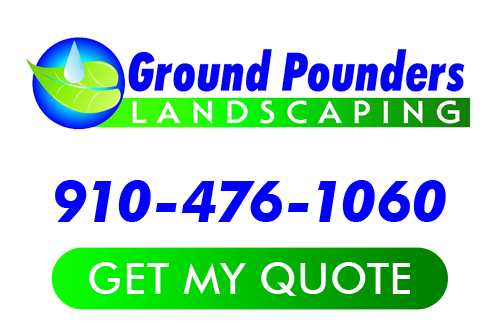 When quality matters, as it always should for your home or business, you can rely on the team of experts here at Ground Pounders Landscaping to get the job done. We will provide you with the finest in high quality Landscaping Fayetteville services and results, all you have to do is give us a call to get started. We look forward to working with you for all of your Fayetteville landscaper services needs, and anything else you may need done for the outside of your home. If you are looking for a Landscaping Fayetteville Company then please call 910-476-1060 or complete our online request form.